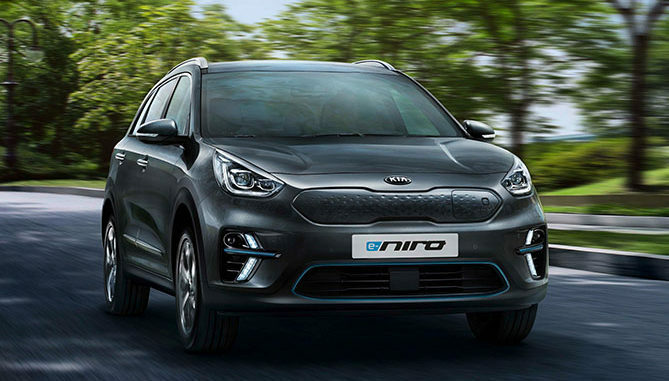 Kia has unveiled the e-Niro fully electric crossover utility vehicle, to be available in European markets by the end of the year. The company says that, in Europe, the Niro will be equipped with a high-capacity 64 kWh lithium-ion polymer battery pack. On the WLTP combined cycle, it provides a driving range of more than 485km on a single charge. On the WLTP urban cycle, the e-Niro is capable of driving up to 615km. Buyers will also be to specify their e-Niro with a 39.2 kWh lithium-ion polymer battery pack, with a range of up to 312km from a single charge on the WLTP combined cycle. The company says that when plugged into a 100kW fast charger, it takes only 42 minutes to recharge the e-Niro’s battery from 20 per cent to 80 per cent. Models equipped with the long-distance 64 kWh battery pack are paired with a 150kW motor, producing 395 Nm torque, enabling the e-Niro to accelerate from 0-to-100km/h in 7.8 seconds. 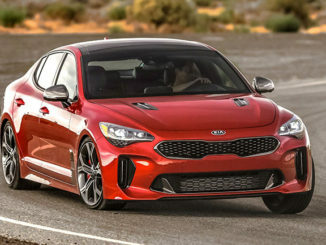 The standard 39.2 kWh battery pack is matched to a 100kW motor, also producing 395 Nm torque, and accelerating to 100km/h from a standstill in 9.8 seconds. Like the Niro Hybrid and Plug-in Hybrid variants, the new electric model is front-wheel drive. A sleek and modern exterior is matched by the hi-tech interior. With no need for a traditional gear stick and gear linkage, the physical transmission has been replaced with a new shift-by-wire rotator dial drive selector. The drive selector dial sits on its own panel which extends out from the base of the central arm-rest. In addition to the rotator dial, this panel also houses buttons for the electronic parking brake, heated and ventilated seats, heated steering wheel, drive mode selector, parking sensors, and the Niro’s braking Auto Hold function. The cabin is trimmed in a choice of fabric and synthetic leather, full synthetic leather, or real leather. There’s also a new mood lighting system that illuminates the centre console and shift dial with subtle lighting, in one of six colours – white, grey, bronze, red, green, and blue. The shelf at the base of the instrument panel features a high-grip rubberised surface to hold the driver’s smartphone in place. Buyers can specify this shelf with an optional wireless smartphone charger. The 7.0-inch touchscreen HMI (human-machine interface) in the centre of the dashboard offers a series of features. It enables owners to locate nearby charging points and monitor the level of remaining charge and range. It also lets owners gauge their trip and lifetime CO2 reduction from driving the e-Niro, compared to a gasoline car of a similar size. The HMI lets owners set an approximate departure time for their next journey, enabling the car to heat itself to a set temperature before the driver departs. The charge management function also manages the flow of electricity to the battery when charging, to help extend the life of the battery. The colour-LCD driver instrument cluster – also 7.0-inches wide – shows driving and battery charge information on-the-move. The display also gauges the driving style of whoever is sitting at the wheel, attributing a percentage to the amount of economical driving they manage on each journey. CGC alerts drivers as to the best time to lift off the accelerator and coast towards a junction, allowing the battery to regenerate under engine deceleration. Operating at certain speeds when a navigation destination is set, the system alerts drivers when to coast via a small icon in the instrument cluster as well as an audible warning. Paddles behind the steering wheel let drivers choose between three levels of energy recuperation. The higher the level of recuperation chosen by the driver, the more energy the regenerative brakes try to harvest. The e-Niro is also fitted with an advanced heat pump, which draws on heat energy from the air-conditioning and electrical systems. Instead of relying entirely on battery power to heat the cabin, the heat pump recycles this heat energy to improve the efficiency of the cars heating, ventilation and air-conditioning (HVAC) system. There’s a Drive Mode Select system, enabling owners to tailor their driving experience. Switching between Normal, Eco and Sport modes. 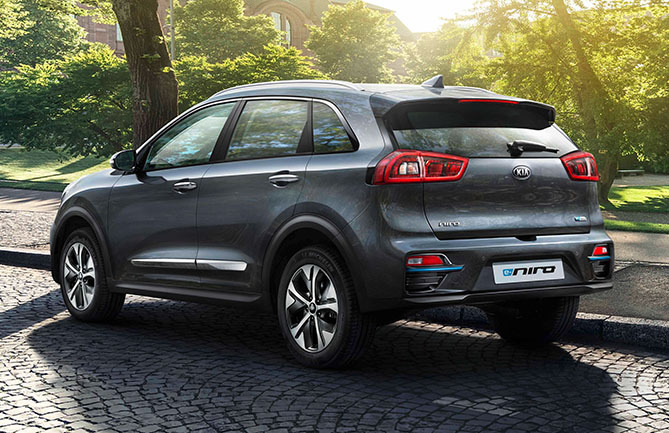 The e-Niro offers drivers a range of Kia’s Advanced Driver Assistance Systems. 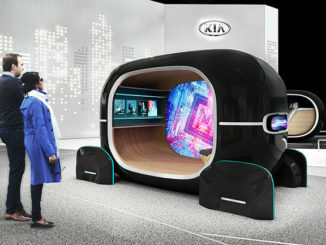 The car is equipped, as standard, with Kia Vehicle Stability Management (VSM). If VSM detects a loss of traction, it uses the cars Electronic Stability Control (ESC) system and the electric motor-driven power steering to help the driver retain control. Other active safety systems available include Forward Collision Warning with Forward Collision-Avoidance Assist, Smart Cruise Control with Stop & Go, High Beam Assist, Driver Attention Warning, and Lane Following Assist. Lane Following Assist is a Level Two autonomous driving technology which tracks vehicles in front of the car in traffic and detects road markings to keep the e-Niro in its lane on the motorway. The system controls acceleration, braking and steering depending on the convoy of vehicles in front. Lane Following Assist operates between 0 and 130km/h.